"These late works—rendered into English by R. G. Skinner—are the culminating achievement of a writer who constantly wrestled at the intersection of the head and the heart, and there at that crossroads tried to find avenues into the deepest reaches of humanness. Reminiscent of William Blake’s late mythologies and Leo Tolstoy’s final ‘mystical’ period, they should be read for their insight into Hugo’s art, for the artistry that emerged from the mixing of intellectual memory and aging desire in this engaged artist and intellectual, and for the subject itself: the universe of good and evil." 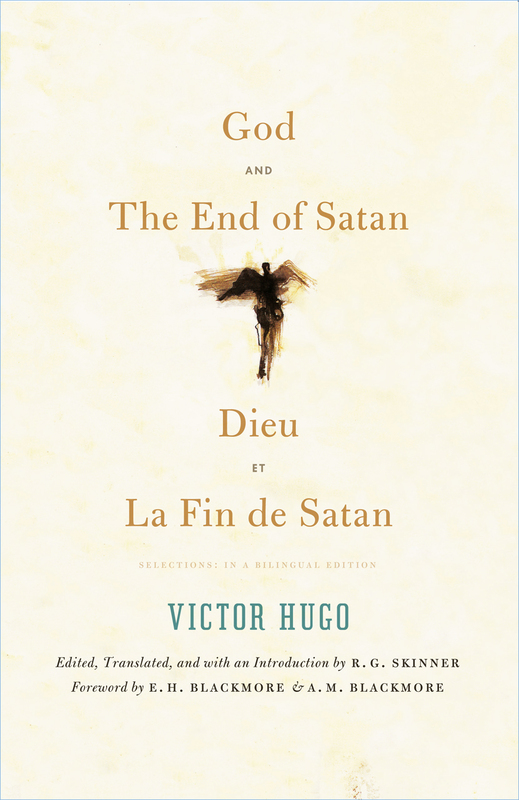 "R. G. Skinner’s edition of Victor Hugo’s epic poems Dieu and La Fin de Satan not only significantly contributes to Hugo scholarship—it also offers general English-language readers Hugo’s provocative insights about God and evil. One of the greatest, most influential French poets, Hugo found himself ’enveloped in poetry amid rocks, meadows, roses, clouds, and the sea’ during his long exile. There, contemplating the ocean and working to understand God and what may come after death, Hugo drafted these two stunningly modern, visionary poems. Skinner’s serious research on the poet’s experiences and thoughts underpins his engaging introduction, informative glossary, and detailed notes. His clear, poetic translations of key selections from these poems will considerably further our understanding of Hugo’s lifelong exploration of infinity.